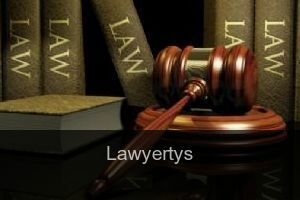 Thanks to Lawyertys we put at your disposal a list of lawyers with their number, email, website and address so you can contact them to solve any legal problem you have with the law. We offer one of the largest databases, with more than 30.000 lawyers scattered through out the world specialized in many subjects to solve your problems in a very short time. We have lawyers in most countries of the world. The only thing you need to do is browse our web through our search engine and find the lawyer specialized in the matter you need, in a fast and easy way. You can look by region or by category, as you wish, you choose. konyaalti cad. yali apt. kat:4 muratpasa, antalya/turkey 07050 Antalya ,Other Cities in Antalya ,Antalya ,Turkey . berrahal 23009 Berrahal ,Annaba ,Annaba ,Algeria . business village, office 212,block-b 2nd floor, deira near clock tower Dubai ,Dubai ,Dubai ,United Arab Emirates . edificio muñoz muñoz, 3er nivel, c-8, blvd morazan 11101 Tegucigalpa ,Other Cities in Francisco Morazán ,Francisco Morazán ,Honduras . hacı İlyas mh. 2. tezcan sk. 1/15 osmangazi/bursa Bursa ,Other Cities in Bursa ,Bursa ,Turkey . yeka sub city 13064 Addis Ababa ,Ādīs Ābeba ,Ādīs Ābeba ,Ethiopia . konyaaltı cad. yalı apt. kat:4 muratpaşa 07050 Belek ,Other Cities in Antalya ,Antalya ,Turkey .